Tennis is a lot of fun and we love to include everyone who wants to have a go. 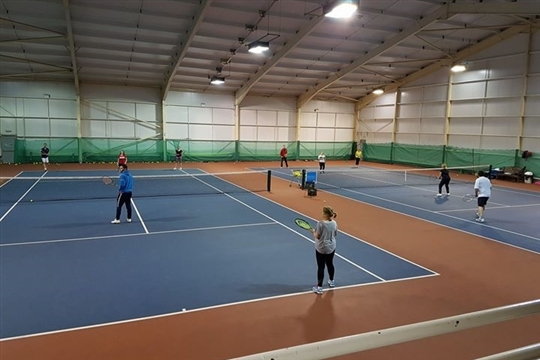 If you're new to tennis, or would like to improve your skills with similar level players, then you'll find a warm welcome at Draycott with our team of coaches provided by Smash Tennis UK. Our aim is to ensure that all players get a good fitness workout whilst developing their playing ability in a fun, sociable environment. All adult group tennis coaching is pay & play, £5 for members and £7 for non members unless stated. So just turn up and play! We have 2 indoor courts so rain never stops play....come down and have a game.